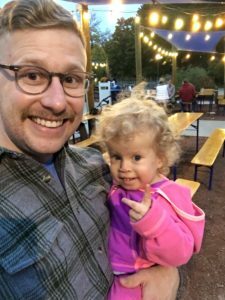 PCHA continues its Heart Dad Series with a piece by Ryan Freund. Here, Ryan shares with us how being a dad to the amazing Adair, as she battles a rare genetic disorder that includes CHD, hip dysplasia, digit issues, scoliosis, tethered cord, hypothyroidism, hypoglycemia, is both the greatest blessing and greatest burden of his life. The burden: I was talking with some parents of special kiddos the other day, and we got on the topic of PTSD and began discussing the moment (or moments) that REALLY impacted us emotionally, physically, etc. The event that really strained us was during our daughter’s last open heart surgery. Adair required another arch reconstruction and the Ross-Konno procedure, which involves removing the aortic valve, harvesting the pulmonary valve and placing it in the spot of the aortic valve, and putting a conduit in the place of the pulmonary valve. As this was Adair’s third OHS, we had developed an understanding of how long things ought to take during surgery. 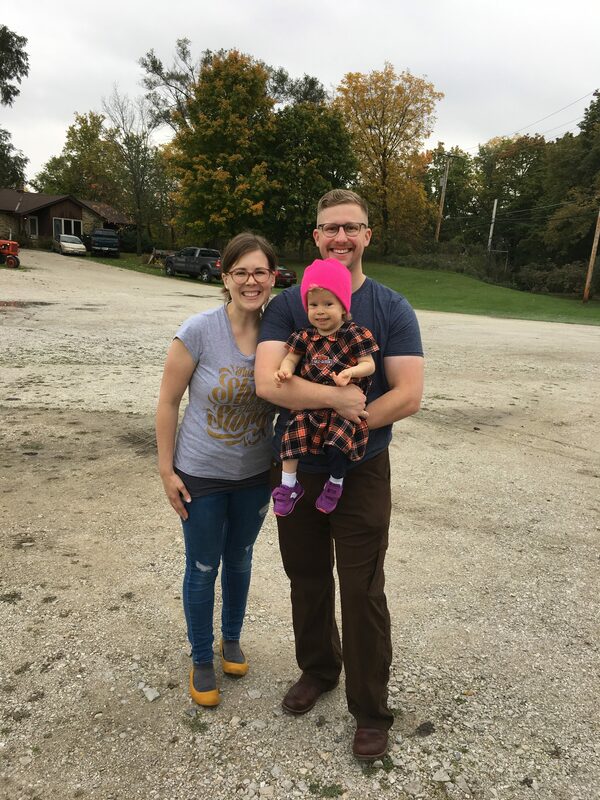 That day, everything just seemed to take extra long…but after 13 hours, we got word that they were closing Adair’s chest and that we would see her in about 30-45 minutes. When time started to drag on toward the 45 minute mark, we got the feeling that things just weren’t right. That’s when the surgical nurse came out to give us the news that the closure had taken a very bad turn. Coming off the operating table, Adair’s heart went into ventricular fibrillation, she received two minutes of chest compressions, and she had to be defibrillated. Once they got her heart stabilized, they re-opened her chest, called in the on-call cath lab team, and needed to check her coronaries to ensure the heart itself was being fed. After seeing our little girl off to surgery at 7am, we finally got to see her in the hallway at 10pm as she was being wheeled back to the Cardiac ICU. There were some additional complications during our stay which further intensified our experiences – Adair had an adverse reaction to a medication that made it look like she had brain damage. All told, riding the emotional rollercoaster of being very close to losing our daughter, coupled with the prospect of her potentially having brain damage, we couldn’t talk about the whole experience for about 3 months without being overcome with tears…tears that couldn’t be controlled. The blessing: I hear people say all the time that they “wouldn’t change a thing about their lives, because otherwise they wouldn’t be the people they are today.” I am here to tell you that I would absolutely take away my daughter’s genetic disorder! But since that isn’t possible, I must say that the past 2 and a half years have been life-changing in so many positive ways. First and foremost, we have the most precious little child you could ever imagine. She is tough beyond words, she is sweet, she is funny, and she has this way of drawing you in when you meet her that really grabs at your heart. I think many others would confirm this, but when people meet Adair, they really seem to love her – truly love her. She has a way about her that is captivating. She has taught her mother and I about the depths of faith, unconditional love, patience, and forgiveness. She has given us a remarkable perspective on life that is a true blessing. Speaking of perspective, I will share just a small glimpse into the perspective Adair has given us. I think sometimes it’s easy for us as parents to check out every once in a while. Being a parent is TOUGH whether your kiddo is medically complex or not, and the age in which we live offers a lot of distractions. It’s very easy to flip on the television and hit up Facebook for long stretches. It’s easy to lose your patience with a behavior. It’s easy to lose focus. Now don’t get me wrong, we all need a mental break sometimes! I would be lying if I said that I’m 100% on all the time! But what Adair’s life has done for us is bring into focus the preciousness and fragility of life. We have no idea how much time we will get with Adair, but I can say with certainty that the perspective Adair has brought my wife and me causes us to remind each other that we need to cherish each day. We need to be present each day. We need to love fully each day. How many people get the opportunity to understand the preciousness of life in this way? It’s a remarkable blessing! I’d like to send some additional thoughts out to the fellow heart dads out there. For a lot of us, sharing our feelings, our emotions, our struggles, our insecurities is tough. We’re men, and many of us want to be the strong shoulder to cry on as opposed to the sobbing mess in the corner. Let me tell you, though, that it’s ok (and probably even necessary) that we talk about our struggles, that we share our concerns, and that we are ever-present for our kiddos. Being a dad to a special child is a huge burden, there’s no question, but it can also be a huge blessing. I pray that all of you fellow heart families find the daily blessings in your lives as you walk this very special path. And I pray that if you are a family member or friend of a family with a special child that you love them unconditionally and are able to be a light in those burdensome times of darkness. Ryan is a 34 year old resident of New Berlin, Wisconsin who grew up in northern Illinois. He is in sales in the automation and power transmission industries and loves what he does for a living. Ryan has been married for 9 years to his wife, Melissa, who is a mechanical engineer. Melissa now stays home with their daughter Adair full-time. Adair, is 2 and a half years old and has a newly discovered genetic disorder which explains her complex CHD (interrupted aortic arch, VSD, ASD, surgically repaired bicuspid aortic valve with sub-aortic stenosis through Ross-Konno procedure), hip dysplasia, scoliosis, tethered spinal cord, syndactyly, hypothyroidism, cognitive disability, and a few other things.